Taos (pics) is a nice small town in north central New Mexico. The Taos Pueblo, just north of the town is perhaps the oldest continuously inhabited community in the US. 1. Visit the Rio Grande River Gorge and the bridge that spans it about 10 minutes west of Taos. 2. 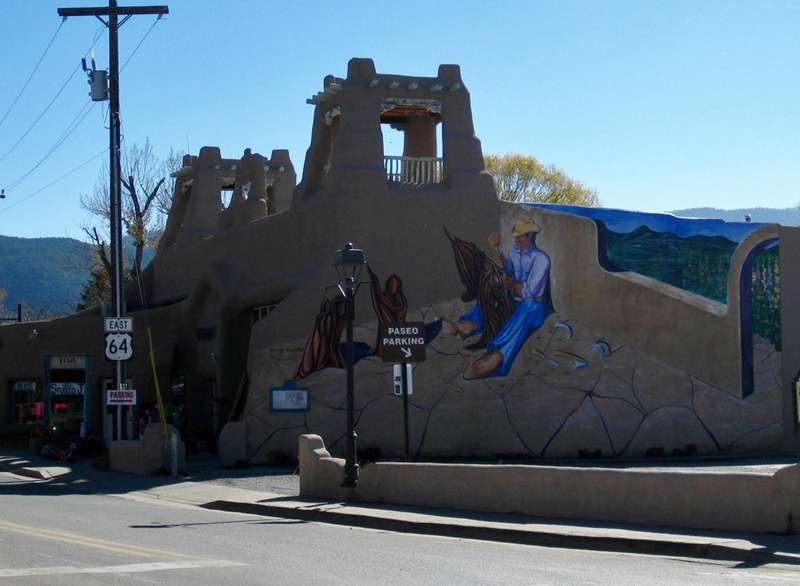 Explore the historic center of Taos. 3. Have lunch with Valerie’s Aunt Judy. The Rio Grande River Gorge Bridge is a 1,280 foot span bridge that sits 565 feet above the bottom of the gorge, making it the 7th highest bridge in the US. Pedestrian walkways along both sides of the span allowed us to walk out to gawk at the bridge and down into the river gorge. Valerie’s Aunt Judy has lived in Taos for many years and is an artist. She arranged for us to meet at the Trading Post Café, a very nice Italian restaurant on the south side of town. 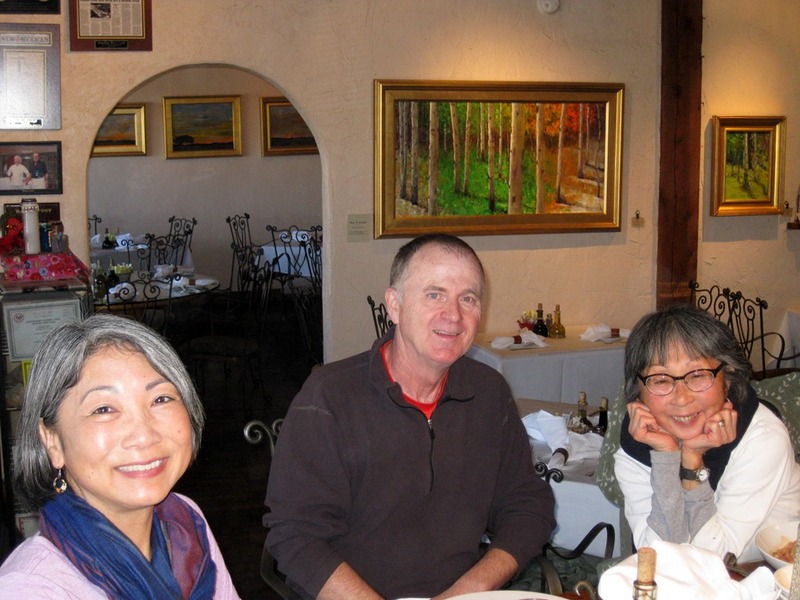 We had a nice lunch, a nice visit with Judy and enjoyed seeing some of her work.